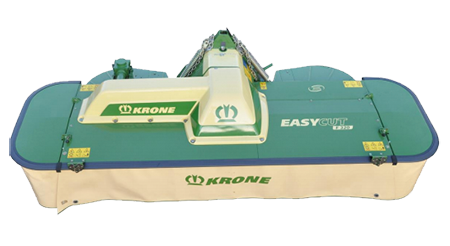 Suspended in the centre of gravity rather than in the middle of the machine, it distributes the pressure uniformly across the entire work width and leads to the cleanest cuts. 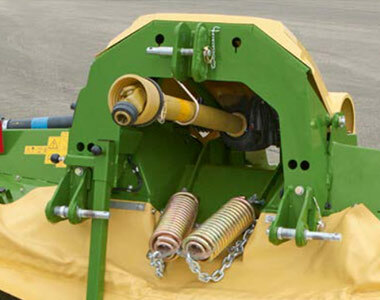 Ground pressure is adjusted simply by resetting pins and chain links that alter the spring tension. 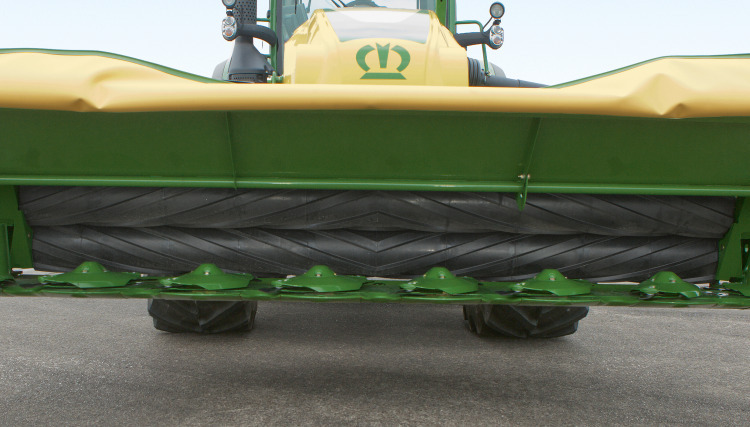 Adjustable suspension springs ensure the ground pressure is always optimal and the mower bed glides smoothly. 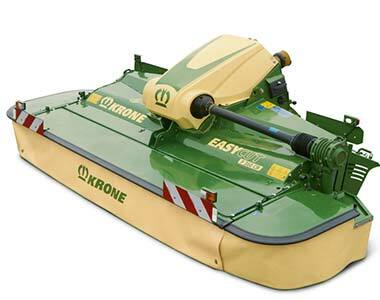 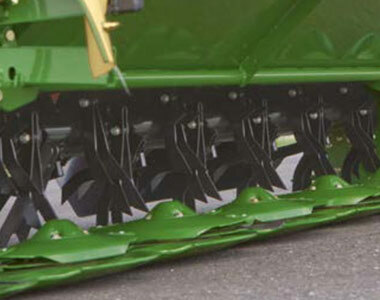 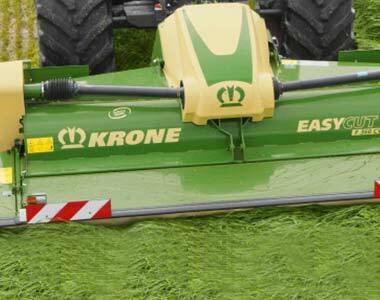 This mechanical system ensures the mower lifts up and is pushed back down without any bounce. 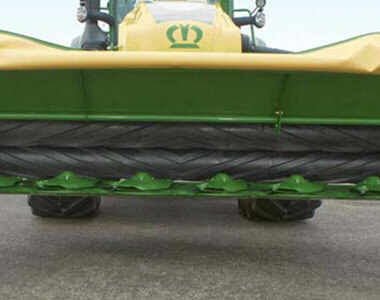 The biggest contact area between the rollers due to the large 250mm diameter rollers ensuring optimal conditioning. 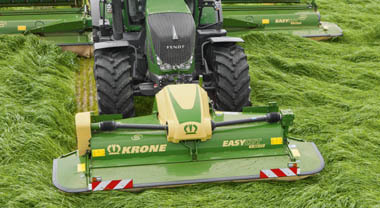 With foldable front guards on the mowers they change to a transport width of 3.00 m ensuring easy and convenient transport when going between fields.